A few years ago I had signed up for a service called Grand Central. As with as it seems, all things web-nifty – Google scooped them up. Grand Central is now Google Voice. Currently, Google Voice is invite only. I was able to get in about a month ago, and have to say – I am impressed. 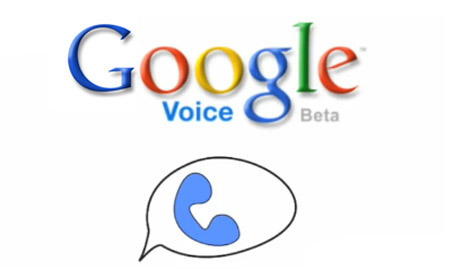 Google Voice (formerly GrandCentral) is a telecommunications service by Google launched on 11 March 2009. The service provides a U.S. phone number, chosen by the user from available numbers in selected area codes, free of charge to each user account. Inbound calls to this number are forwarded to other phone numbers of the subscriber. Outbound calls may be placed to domestic and international destinations by dialing the Google Voice number or from a web-based application. Inbound and outbound calls to US (incl. Alaska and Hawaii) and Canadaare free of charge, while international calls are billed according to a schedule posted on the Google Voice website. First and foremost why I LOVE Google Voice is my phone number. A few months ago I lost my iPhone, got a new iPhone and a new phone number. Google Voice let’s you choose your number and you can choose what it spells! How fantastically silly but I heart it. The only problem is, I can’t for the life of me remember my number, just what my number spells. Hey Molly, it’s mommy, i just want to call and see what was up for tonight. Give me a call on stalking you. At least I hope its a mistake, ha. Unfortunately Apple denied the Google Voice iPhone app, but looks like there maybe some possible work arounds with a web app called Voice Central. Sign up for an invite and enjoy yet another FREE service from the almighty Google. Words With Friends App – The New Game That Will Have You Obsessed in No Time!